1 What is Back Pain? Back pain is a common issue that many people experiences at some point in their lives. The cause of back pain can vary greatly, and can be brought on by bending incorrectly, lifting heaving objects, or maintaining bad posture while standing or sitting down, among others. In many cases, back pain develops slowly and over extended periods of time. Back pain may improve in a few weeks to few months. However, there are some cases where people experience back pain for a longer period of time and it becomes a chronic issue. Back pain is commonly referred to as “backache”. 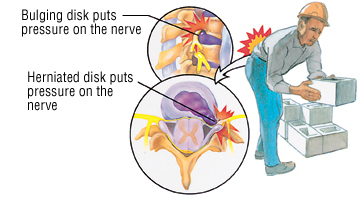 This type of pain is most commonly felt in the lower back. However, it may be felt any place along the spinal column, from the neck down to the hips, or it may radiate to other areas of the body. The anatomical structure of the human spine is amazingly complex, in both form and function. This means that there are plenty of interconnected structures in the spine that can cause pain in the back. Additionally, forces that act on the spine, such as twisting, daily stresses, and sudden jolts, often lead to injury. Nerves exit the spinal cord through the vertebrae, and it’s possible to damage these nerves as well. This can result in pain that radiates down your legs. In addition, you can injure the joints, bones, and ligaments that are located throughout the spine or strain some of the muscles that support the back. The reasons for back pain are numerous. 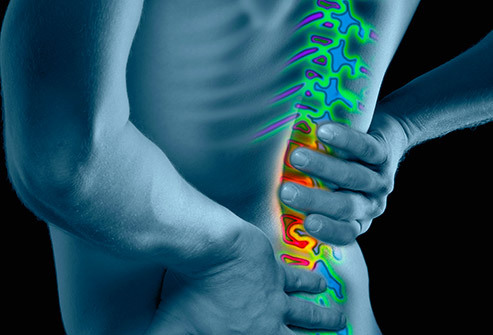 Back pain can be acute, chronic, and also neuropathic. Back pain can be acute, or short-lived. This pain typically lasts less than three to six months and is often directly related to damaged tissue. Acute pain often comes on suddenly and does not persist for a great period of time, just like getting a paper cut or touching a hot stove. If the injury persists for several months, it becomes more susceptible to infection, additional injury, and can even develop into chronic pain. Chronic pain from an identifiable cause. Chronic pain for which there is no identifiable cause. In the first case, the cause of pain is easy to determine; most commonly the result of an injury. In the second case, the cause of pain is more difficult to determine and there is no clear indicator as to why the pain exists. Chronic pain usually lasts for more than three to six months. In a majority of cases, this type of back pain is related to unknown causes or the cause is difficult to determine. Chronic back pain without any particular cause is a common occurrence. It could also be due to a failed back surgery, also referred to as the failed back surgery syndrome. In this case, the pain continues to exist even after the body has healed from the surgery. There is much less research on this type of pain. Typically, the symptoms of the original injury are gone and the existing back pain is unrelated to any visible conditions or injuries. Neuropathic pain is due to nerves that simply continue to send messages to the brain about pain in the back, even though there is no real damage to that particular area. Back pain is common and can range from mild to debilitating. This type of pain often includes lower back pain, but it can also span to other areas around the spine and radiate to other areas of the body. Certain conditions such as nerve problems, degenerative disc disease, muscular injury, arthritis and others, can cause back pain. Fortunately, there are certain measures that can be taken in order to relieve this pain, and it’s best that you consult your doctor to determine the cause.